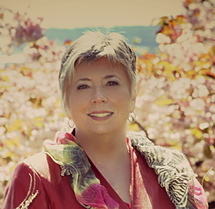 As the Founder and Executive Director, Dianne Martin combined her personal and professional experiences as a birth mother, stepparent, Certified Stepfamily Counsellor, and social worker to create an dynamic array of powerful family support programs for stepfamilies. Dianne Martin knows first hand the challenges of being a single mom and stepmom. She is passionatly committed to helping stepparents and has chosen to work exclusively with stepfamilies and stepdating couples who want to build and nurture healthy stepfamily relationships. Her evidence based programs ensure her clients have the 3-T’s (tips, tools, techniques) essential to building, maintaining healthy family relationships. Martin. a skilled facilator and certified trainer has conceived, designed, and delivers powerful, evidenced based training programs. Visit her training calender for details. Prior to launching her family support and training agency, Dianne Martin worked across Canada and the UK in adoptions, foster care, and child protection programs. She moved into progressively responsible positions and was an active member of the Provincial Foster Care Task Force in the province of Alberta. Dianne Martin is a trained volunteer with the BC, Emergency Social Services. She provides emergency psychosocial support to people who have been forced fromt their homes due to a natural or man-made disasters. Dianne Martin is a feature writer for StepMom Magazine and the Family, Success by 6 Magazine. Dianne Martin received her Bachelor of Social Work Degree from the University of Calgary. She is a member in good standing with the BCCSW and BCASW. Specialized counselling,support and training for stepfamilies and single parents interested in building, strengthening, and nurturing healthy family relationships. Provide face-to-face counselling and e-counselling for Canadian families, couples and individuals Facilitate workshops and support and empowerment groups. Professional consultation, training and program development assistance available for family service organizations interested in enhancing their understanding of stepfamily issues and dynamics. Coordinated the regional family support, social, and educational programs for pre and post adoptive families and volunteers. Drafted the Practice Standards Manual for ASC, managed regional contracts and assisted the Team Leader. Provided telephone and face to face support, and facilitated support groups. Case management responsibilities for families involved with MCFD due to child protection concerns or requiring support services. Received, assessed, and investigated allegations of child abuse and neglect. Completed risk assessment, and court work. Liaised with police, schools, health care and community service providers. Provided intensive support, training, crisis interventions, advocacy, and information to a caseload of 35 foster families caring for multi-dependently disabled children. Wrote and submitted for publication a journal article: THE MATCHING MODEL: a framework for social work practitioners in foster care program.